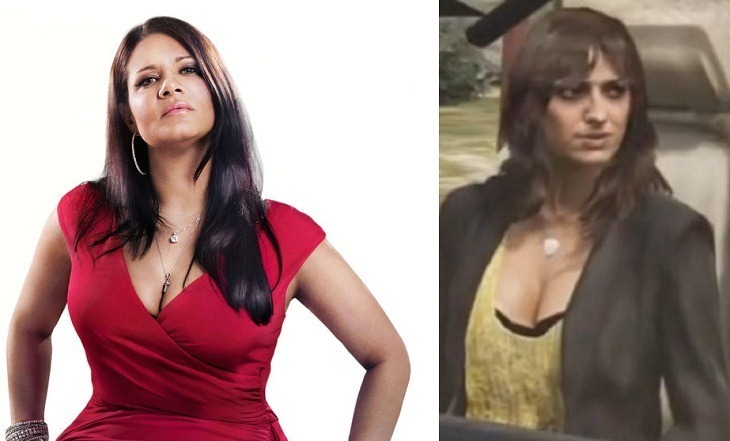 Way back in February we reported that Rockstar were being sued by a mob wife for $40 million claiming they illegally used her likeness in the game Grand Theft Auto V.
The claimant, Karen Gravano, claims the in game wife of a mobster, Antonia Bottino, is actually a videogame depiction of herself that she didn’t give permission for. In her mind this slight on her good, mob wife, name apparently means she deserves $40 million. Well according to TMZ, Rockstar have hit back and claimed it is ludicrous that Karen can make this comparison as she is obviously far fatter than the in game character she is claiming represents her. According to the report Rockstar even has a quote from one of the mob wife’s friends who apparently claims that Karen does look like Antonia but Antonia is obviously quite a bit skinnier. Now who knows if any of this is true or if TMZ have some strange incorrect source, but the idea of a legal case being thrown out because someone is overweight definitely brings a smile to my face considering my current legal issues. In reality Karen’s look isn’t unique considering her Italian heritage and on that stereotypical bombshell, we’re out.